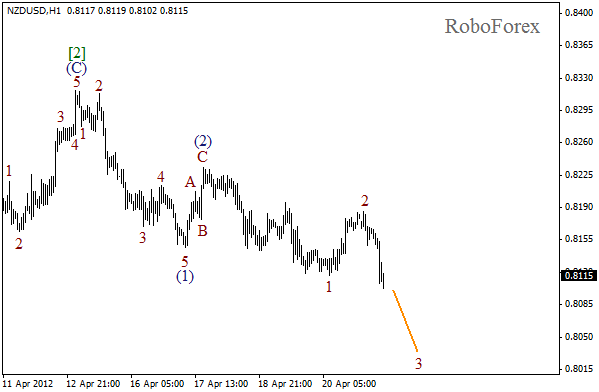 After the market opening New Zealand Dollar continued falling down inside wave (3) and the bears reached a new local minimum. Most likely, the price will continue moving downwards in the nearest future. During the week we can expect the pair to break the minimum of wave . Right after the market opening the pair started to move downwards inside wave 3. In the near term, we can expect the bearish trend to continue. It looks like the price is going to break the level of 0.8000 within the next couple of days. 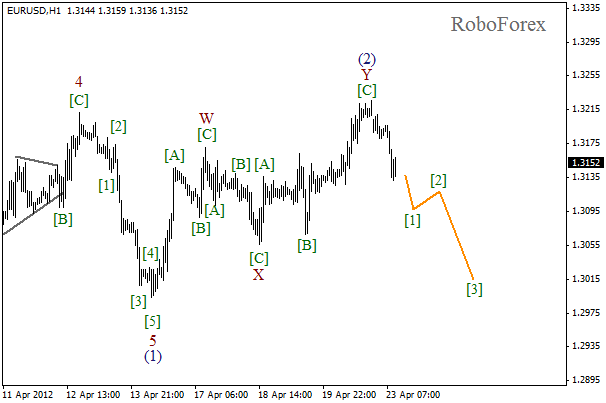 We may assume that the price has completed double zigzag pattern in wave (2), and right now is in the very beginning of wave (3). 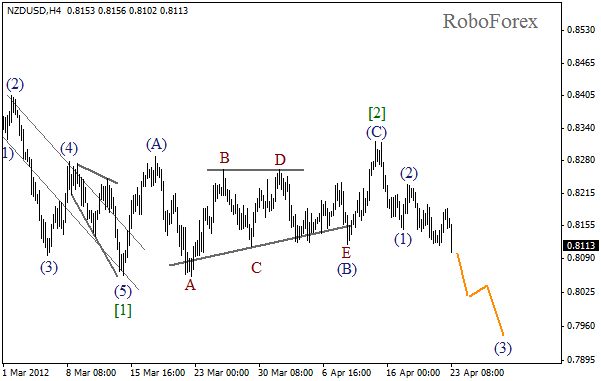 It looks like Euro is on the verge of a very significant fall. The short-term target for the bears is at the level of 1.2700. 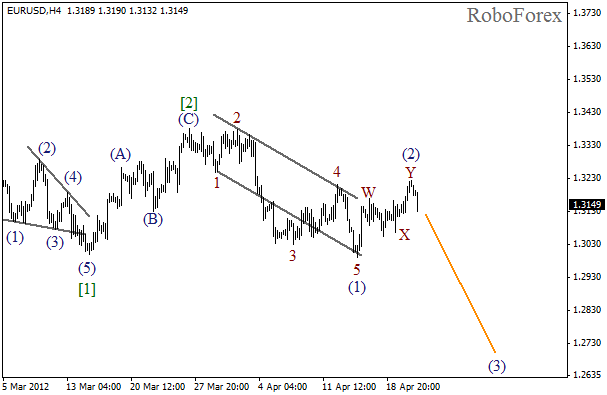 It looks like the price, after completing zigzag pattern in wave Y, is forming an initial descending impulse. On the minor wave level the chart structure implies that the pair may continue forming wave . The forecast for the next several days remains bearish.